Although PNBA's main focus is on our independent bookstore members, our most treasured partners in today's market are our regional authors. This fact is primarily reflected in the number of authors who are featured at our fall shows, which is now more than 100. Why are authors so important to our booksellers? Because our stores depend on their connections with authors to help them attract customers into their stores, a service that cannot be provided by so-called "big box" or online "bookstores." Our member booksellers (and librarians) are eager to meet, get to know, and invite the most appropriate authors they can find to visit their stores to promote their books. Having authors in our stores works: it works for the booksellers and librarians, who need the traffic, and it works for the authors, who love the exposure, and the opportunity to find new fans. If you have published or will publish a book with an established publisher, we urge you to contact that publisher and tell them that you would like to be featured at the next PNBA show. When they contact us, we will add your name and book information to the list of those being provided to our Selection Committee. We need the publisher to support your appearance because there are fees involved, and the publisher must also agree to supply the books that you will sign at the show to distribute to the booksellers in attendance. The Selection Committee prioritizes the list of authors offered to us, and then in late June each year PNBA staff start inviting authors to the show, using the Selection Committee's preferences. Authors do not need to be members of PNBA to be chosen for featuring at the show. If you are self-published, you may still be able to win a spot at one of our shows, but because the competition is so strong, only a few self-published authors are chosen each year. In recent years, we have received requests from publishers to feature more than 160 authors at the shows. Obviously, we must turn away more than 40 authors each year, because we do not have enough space to accommodate them all. If you intend to publish, or have already published, via an Amazon imprint, the chances of your being chosen for a spot at the show, or of having your book widely accepted by booksellers for inclusion on their shelves, are quite low. This is because Amazon offers a production, promotion and sales program all together. The whole point of their operation is to cut out the traditional publisher and retail bookstore. Publishing with Amazon requires that your promotion and sales efforts need to be with Amazon. For instance, Amazon, unlike all other publishers, does not offer our retail stores any discount on the books that the stores wish to buy for re-sale. If the stores cannot get a discount, they cannot make any money to pay staff, rent, taxes, etc. There is no good business reason for a retail store to consider carrying Amazon books on a regular basis. One of the best ways to win the support of the independent booksellers is to establish a relationship with your preferred local bookseller, and provide the primary link on your website to "buy the book" directly to that store's website. Many authors even arrange with their local bookseller to be the only source for that author's signed books. Doing that usually means that you will need to visit the store several times a year to sign as many books as the store staff can manage to stock for that purpose. Our booksellers are eager to help those authors who help their stores. Thanks for considering the PNBA and our member stores. You will find more info about how authors can participate in promoting your books through our stores at other parts of this website, especially on the pages about the fall shows. Authors need not join PNBA as members to receive invitations to be featured at our fall show; just make sure that your publicist knows to submit you and your new book to us when we issue the Call for Authors in April. However, there are benefits to being a PNBA member, and some authors do choose to support us with an annual membership, which we appreciate very much. First, your membership will assure that you receive our monthly email newsletter, Footnotes, and other key emails, so that you will be as up-to-date on PNBA's activities as anyone in the industry. Second, your membership will allow you to attend the trade show for free, and to bring as many as three friends, relatives or colleagues to the show with you, also for free, if you so choose. Even in a year when you don't have a new book coming out, attending the shows can help you stay connected with our booksellers and your author colleagues, which can be a great help when your next book does release. Finally, a PNBA membership will provide you with a listing, with photo, on our public blog, Northwest Book Lovers, under Northwest Authors. 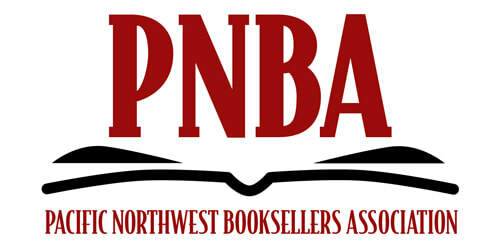 We invite all Northwest authors to consider a regular membership in PNBA. 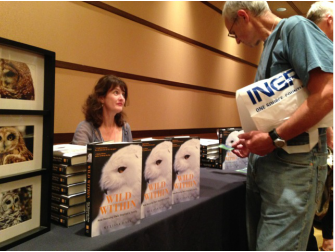 For many authors the PNBA fall show is the primary reason for participating in PNBA. At the shows, almost 200 booksellers from more than 100 stores in our five-state region convene in one place at one time, usually late-September or early October. At the shows, booksellers, librarians, authors and publishers' reps partake of one full day of education, two days of publisher exhibits, and three days of author promotions. Yes, there are a lot of parties. The best way to get an idea of how the shows work is to look through one of our show programs, which is why we continue to post a copy of the latest program on our website. Any Northwest author whose business plan includes having brick-and-mortar bookstores stock copies of her new book should seriously consider attending our shows, certainly each time you release a new book, and perhaps more often, in order to stay in touch with your friends in the industry. Look for the Call for Authors, released in April, asking publishers to submit to us the names and book information for each author whom they would like to see featured at the up-coming PNBA show, and encourage your publisher to submit you for such a feature. It is possible that there is no better way for you to assure that independent booksellers will stock your book than to attend our fall shows. Each year a Committee of nine booksellers from throughout our region selects up to six books for recognition as PNBA Book Award winners. Books are chosen regardless of genré, category or subject of interest, and winners are announced in January as the best books published in the previous year by an author currently living in one of our member states or in British Columbia. 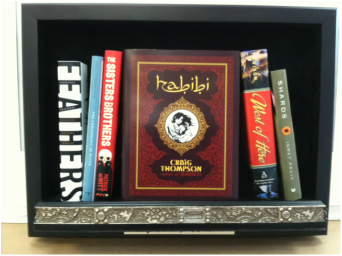 Only books published in the year before the Awards announcement are eligible for consideration. 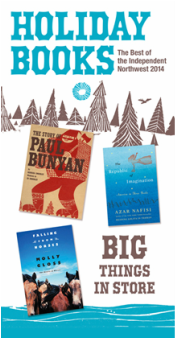 Books honored as winners are permanently listed and featured on the PNBA website, are promoted in our stores and on our public blog, Northwest Book Lovers, and the winners are giving permanent listings on the NW Author page of Northwest Book Lovers. Anyone may nominate a book for a PNBA Award, and there are no fees to nominate a book for a PNBA Award; but the publisher must send copies of the book to all nine members of the Awards Committee, plus one to the PNBA office, and those books cannot be returned. In recent years Committee members have received nominations of more than 300 books, and have chosen between four and six of those as winners. Traditionally, publishers, not authors, pay for listing in our holiday catalog as the program is a significant investment. Placement is arranged with PNBA's Marketing Director, who has final say over what titles will be featured. Our goal is to provide our member stores with a finely curated and designed product that helps them promote their stores and sell books as gifts over the holiday season. Books featured in the catalog must be relevant to our NW indie audience and be available to stock from at least one of the primary NW book distributors, preferably multiple companies. A fall show author appearance followed by a holiday catalog feature of that author's new release is the indie Northwest's most powerful promotional one-two punch. PNBA offers a number of reasonably priced advertising options for authors and publishers. We offer book advertising in our Footnotes newsletter, in our consumer blog Northwest Booklovers and direct-to-bookstore email advertising programs such as the Northwest New Title Preview and our BooksellerBlasts. The Pacific Northwest Booksellers Association is one of nine regional non-profit trade associations promoting literacy, free speech and independent bookselling in the United States. The PNBA represents booksellers in Alaska, Idaho, Montana, Oregon and Washington. What benefits does PNBA offer authors? What kind of resources does PNBA offer? PNBA provides resources to help you promote your books. A PNBA membership is worthwhile for an author if you want to attend or exhibit at our tradeshow and market your book(s) to the independent bookstores of the five Northwest states in our region. The member directory and handbook is helpful in doing that, as are the discounted mailing lists and the networking opportunities that present themselves at the shows. Where do I start and how do I find and approach bookstores? PNBA has more than 120 independent bookstore members in Washington, Oregon, Idaho, Montana and Alaska, all with distinct personalities and communities of readers. Many stores have specialties in areas such as travel, children's or Northwest books. With that in mind, research stores before you approach them. If you can, visit a store and note where your book might be shelved and if it's a strong section in the store. Every bookstore has at least one book buyer, and your first step is to identify this person. A phone call is usually all it takes. Ask for the book buyer and be prepared to briefly describe your book and the section(s) where it might fit. Most stores require that you make an appointment. When you meet with booksellers, they'll want to know if you're doing any promotion and how the book is being distributed. Is the book stocked at a national wholesaler such as Ingram or Baker & Taylor or a regional wholesaler, such as Partners/West? This information can be printed on a sell sheet, which can be mailed or faxed to the buyer. If you're distributing the book yourself, most bookstores will ask about consignment. You have a much greater chance of having your book stocked if you agree to leave copies on consignment. Some stores have consignment forms, but it's good to bring your own. If your book is print-on-demand only, keep in mind that bookstores won't order many because POD books can't be returned. A 60-40 split on the sale of the book is common (you get 60 percent), but some stores have different policies. Also, you will probably be asked to check back with the store about sales, usually in 3-6 months. How will your book be stocked? The book's placement in the store should be left to the bookstore's discretion. Not every book can be faced out or displayed at the front of the store. How do I propose a reading/signing to a bookstore? Book event etiquette applies whether you're nationally or regionally recognized, a bestselling or a first-time author. Our stores like to bring interesting authors to their customers and to provide authors with an enjoyable, productive venue in their hometown or stop on their tour. In scheduling an in-store signing, speaking and/or reading event, first call the store to find out how its event manager prefers to receive proposals for events. You might be asked to fax, mail or e-mail a press packet. What should I include in a press kit? Are authors responsible for promoting their own books? These days, authors are more involved than ever in marketing their books. Just ask Craig Joseph Danner, author of the PNBA-award winning Himalayan Dhaba, which Danner self-published and was later bought by Dutton/Penguin Putnam. "Everything good that happened to Himalayan Dhaba can be traced directly to the independent booksellers at the PNBA show," Danner says. "I don't know why more authors don't take advantage of this opportunity." Read more about Craig's success. • Overwhelm the booksellers with too much paper. • Ask the bookseller to surf the web to find the information on your website. Where else can I find support and information on selling my book? Join one of the following author/publishers groups. Learn marketing tips. Network with other authors and small publishers. Find out how to approach an agent or what a publicist can offer. Many of these groups have informative newsletters and web sites, monthly meetings and annual conferences. The following list is just a small sample of groups in our five-state region.